On 7-9 March 2018, the biggest contributors to the agrochemical industry in China and worldwide are gathering at one place, to place the tracks for the agrochemical market in 2018. The 19th China International Agrochemical & Crop Protection Exhibition (CAC 2018) will be held in Shanghai. The event comes together with the 19th China International Agrochemical Equipment and Crop Protection Equipment (CACE 2018) as well as the 9th China International Fertiliser Show (FSHOW 2018). CCM, a Chinese market intelligence company with a focus on China’s Agrochemicals market, reveals the most important trends for the year 2017 and recommends, what companies can expect from the CAC 2018 and do to achieve their goals in the pesticides market in China, 2018. 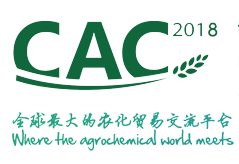 The CAC 2018 will play a huge role in the development of the further agrochemical industry in China. All big players will attend the exhibition, domestic and worldwide. The exhibition contains over 60,000 square meters, offering a place for over 1100 agrochemical suppliers from over 20 countries and more than 30,000 industry professionals from over 120 countries. Some of the attending world leading enterprises are Dow Agroscience and Huntsman. Chinese leading manufacturers, that will attend, are Nutrichem International, Jiangsu Huifeng, Sinochem International Corporation, and Shandong Binnong. According to market intelligence firm CCM, the pesticides industry in China will continue rising in 2018, supported by the elimination of further excessive production capacity and outdated enterprises. This will lead to an upgrading of the industry domestically and enhance the competition in international pesticides markets. Overall, China's pesticide use has dropped in the past three years constantly. The middle kingdom has announced in 2015 the goal to achieve zero growth in the number of pesticides used by 2020, and, according to official reports, it has already seen negative growth over the last three years, likely to continue in the future. Environmental regulations have posed significant impacts on domestic pesticide industry in 2017. China's environmental policies always work well in regulating the market. Stringent administration helps cut out small-sized or even unlicensed producers and favours the development of leading enterprises. What’s more, by 2025, hazardous chemical producers that do not meet safety standards have to move into designated industrial parks in China or shut down their facilities. This regulation is likely to affect the supply of pesticide intermediates in China for 2018, as small- and medium-sized enterprises, as well as large enterprises with major potential risks, have to start relocation before 2018 and finish before the end of 2020, according to CCM’s research. The year 2018 will benefit the Chinese pesticides manufacturers that already have upgraded their production processes and are in possession of a highly integrated supply chain, able to generate their needed raw materials by themselves to avoid high purchase costs. Hence, leading enterprises in this industry are going to have more power in the market as environmental inspections and safety inspections become a normal routine in the foreseeable future. The main advantages of large pesticides enterprises are the self-sufficiency in raw materials and the resulting independence of market voluntarily, the implementation of new national standards for pesticides to fight fake and counterfeit products, as well as big overseas markets with growing demand and already existing clients. China’s pesticides industry is facing a bunch of challenges that will continue to put pressure on enterprises in 2018. Overall, the recovery of the global economy will still be a major support to domestic supply. As China is the largest pesticides exporter worldwide, the country is depending highly on the development of global markets and the demand for agrochemicals. Especially small enterprises have an uncertain future in China, not able to update their production and waste disposal technology to the required standards and lacking overseas clients for sufficient profitably of their sales. Hence, mergers and acquisitions will continue throughout China’s pesticides companies in 2018. Due to the low quality of Chinese pesticides formulation and high barriers to enter overseas markets with own pesticide brands, traders are still one of the main purchasers of Chinese pesticides, mostly pesticides technical, to process them into higher quality pesticides formulations and sell them under well-established brands in their respective markets. Hence, foreign traders have a great opportunity to collaborate with Chinese pesticide manufacturers and sell their products under local names. Especially traders with a good distribution network can profit highly from bringing the Chinese products in the local market, creating a win-win situation for Chinese manufacturers and themselves. As China’s fight against pollution is getting fiercer, CCM is analyzing how the environmental protection measurements are affecting the agrochemicals industry in 2018 and what international players can expect for the near future. China's pesticide production is mainly concentrated in East China including Jiangsu, Shandong, Henan and Zhejiang provinces, in terms of both the number of producers and tonnage, with the subtotal output contributing nearly 70% to the national total pesticide output. Thereinto, Shandong and Jiangsu provinces are the most important regions for China's pesticide production. In China, the total number of pesticide producers was estimated to be over 4,000 as of 2015. The total fund for new product research of the whole pesticide industry in China is no more than USD0.07 billion annually, much less than that of even a single multinational player, such as Bayer CropScience, whose annual expenditure on innovation reaches about USD0.6 billion. The total combined pesticide revenue of 2017 China top 100 pesticide enterprises reached USD16.55 billion in 2016, with a year-on-year decrease of 0.77%; while the total pesticide formulation revenue of 2017 China top 30 pesticide formulations enterprises was USD2.16 billion, down by 12.34% year on year. The CCPIA, the organiser of the ACE, has published a list of the top 100 pesticide enterprises in China in terms of their pesticide revenue in 2016. As revealed by the statistics in the 2017 list, there was a large polarisation in the enterprises' pesticide revenues, caused by poor industry development, strict environmental regulations, policies on paraquat and mergers & acquisitions among enterprises. Thirty-nine enterprises achieved pesticide revenue of more than USD150.60 million in 2016. Besides, the total pesticide revenue of the top 10 enterprises reached USD4.82 billion in 2016, up by 3.97% year on year. The threshold of entering the 2017 list fell to USD46 million from USD51 million a year earlier. The first and second rank on the list of the top 100 pesticide enterprises has both climbed 2 and 3 ranks, respectively, in comparison to 2016. Those two companies are Nutrichem and Shandong Weifang Rainbow. Nutrichem is also the only Chinese pesticide manufacturer with a pesticide revenue of more than USD685 in 2016. The third rank on the list is Fuhua Tongda Agro-chemical, a company based in China’s Sichuan province, which climbed from rank 20 in 2015 to the third rank in 2016 by increasing the revenue of pesticides from USD240 million to USD552 million. The first rank from 2015, Jiangsu Huifeng Agrochemical, fell to the fifth rank in 2016. The trend of China’s manufactures doing increasing business with companies from Asian and Africa is mirrored in the attendance of the CAC 2018. According to CAC, the share of companies from Asia and Africa will be over 50% combined. Attendees from Europe have been about 20% and Attendees from North America just around 10%. Most of the attendees are Manufactures and second ones are Importers and Exporter, achieving an attendee share by around one-third. The statistic shows how important the exhibition is for Chinese manufacturers and the importers and exporters to the deferent countries. Meet CCM at the CAC 2017 in Shanghai. You can arrange a meeting by contacting Patrick.schreiber@kcomber.com. CCM is the agrochemicals market research and intelligence brand of Kcomber, dedicated since 2001 to providing international and domestic companies with unique and premium insights in China’s hardly transparent market. The brand becomes especially known to be the main source for many global players for China’s glyphosate situation in the background of international discussions and China’s leadership in production and export of the major herbicide in the world. 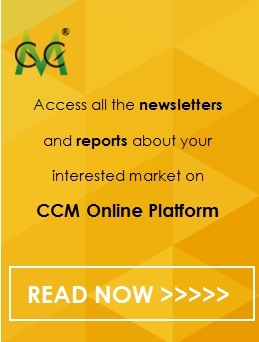 Recently, CCM has established an online platform for all the many years’ research information in form of reports, market data, and newsletter which can be subscribed online to gain full access to China’s pesticides and fertiliser market insights. The platform is being continuously equipped with more tools like a forecast function, company-specific research, and e-commerce analyses to integrate big market data with innovative screening and processing algorithms. The market research on China’s agrochemicals market can be found in CCM’s monthly newsletters like Herbicides China News, Fungicides China News, Insecticides China News, and Glyphosate China Monthly Report. These Newsletters keep the reader updated on the specific industry in China including market news, price, company and politics dynamics as well as any newsworthy stories. For a broader analysis, check out CCM’s industrial reports. For official import and export Customs-Trade data around the world, our trade analysis brand Tranalysis offers the raw data as well as a customized manufacturer to buyer analysis of plenty agrochemical commodities.